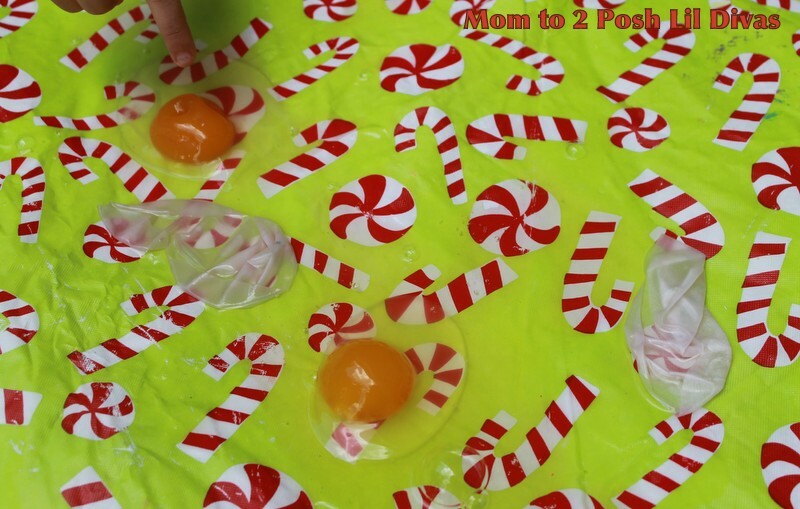 This egg experiment has been in the works for over a week! and I love nurturing their curiosity. but the results are really to watch and the finale was lots of messy fun. 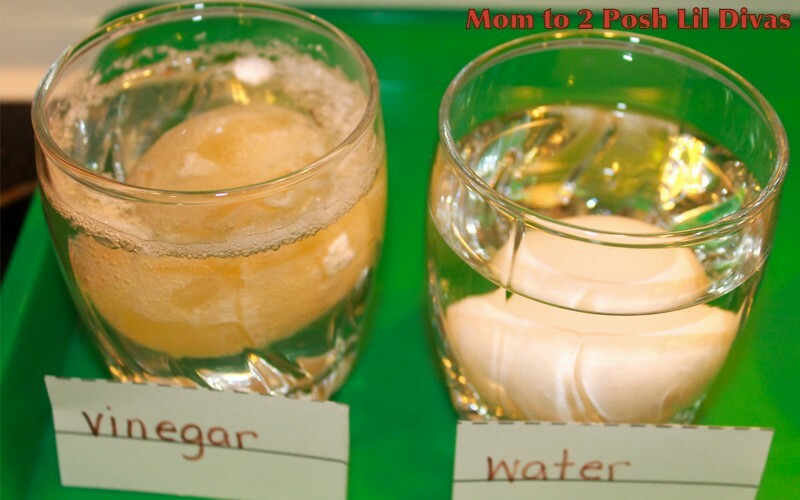 would happen if we put some eggs in vinegar and some in water. 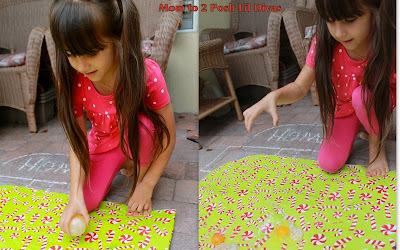 vinegar based experiments with Peeps. So we set out to see if they were correct. 1. Set up 4 clear cups. 2. 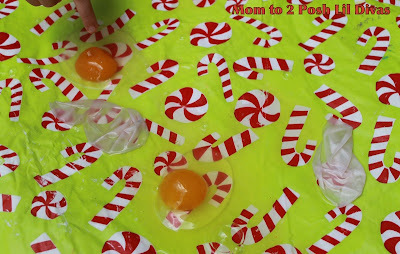 Put 1 egg into each cup. 3. 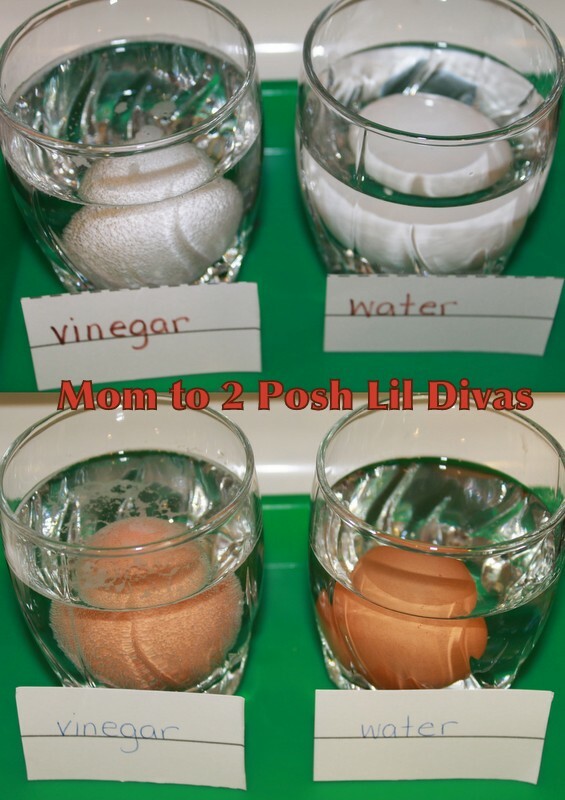 Add vinegar to 1 of each cup containing a white & brown egg. 4. 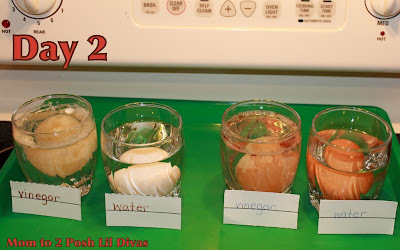 Add water to the other 2 cups. 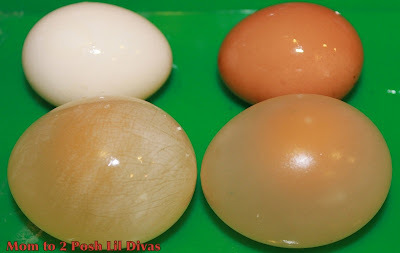 *eggs should be covered completely by each liquid. 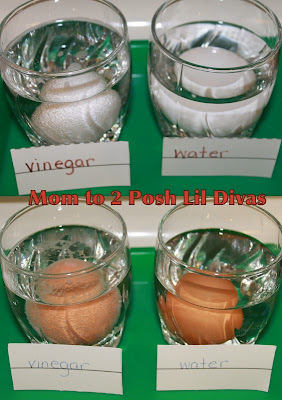 The Lil Divas observed bubbles in the vinegar eggs right away. I know they don't "get it" yet but they asked and I wanted to answer as simply as possible. After only a few hours we could see that the vinegar was eating away at the shell of the brown egg. It was nice to observe it at this initial reaction stage because you could easily see where the shell was missing and where it was still on the egg. The Lil Divas found this fascinating. we had to test if they could bounce! The first drop did indeed bounce! Then the Oldest Diva decided to go higher & splat! Of course the Lil Divas had to explore the mess. It was a bit smelly but still pretty cool. I'd like to try this again and compare hard boiled to raw eggs. 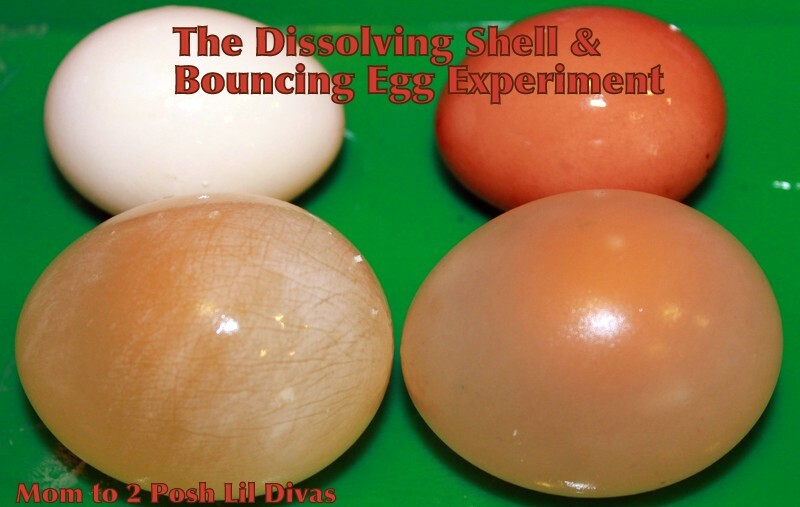 What egg experiments have you done? What a great experiment, kids of all ages could take something away from this. I love this, especially the two splats! Add the shell-less eggs to corn syrup or honey (I think it takes a few days) and see what happens. After that add them to water and observe once more. 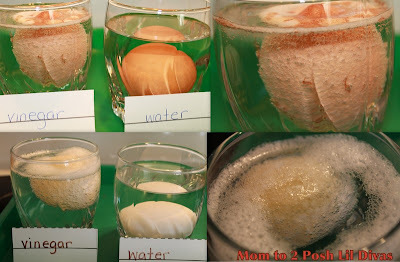 That's how my 6th grade teacher taught us about diffusion and osmosis! That looks like so much fun! I will have to try it with my two! 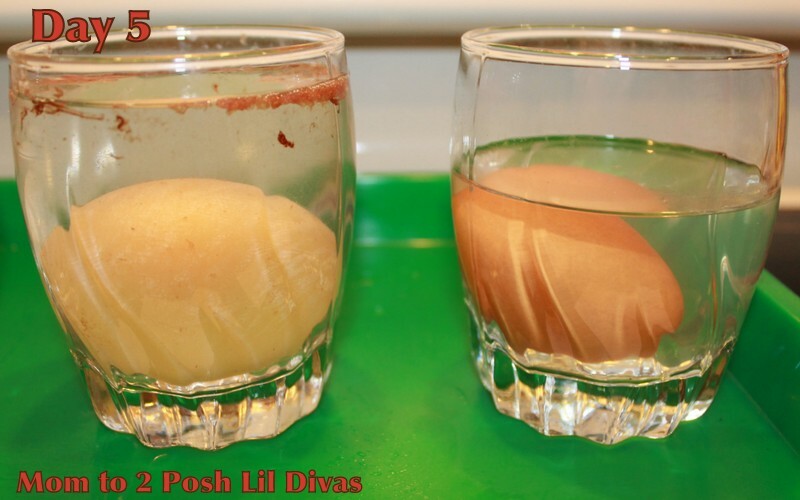 After all of the Shell is gone try adding the vinegar eggs into a cup of very colored water. It makes them look like easter eggs! =] That's the real fun. It's even better if you start off with the corn syrup/honey suggestion from above. ! Thanks for the idea! I can't wait to use this experiment with my elementary class! When the shell becomes soft from the vinegar bath, maybe before it goes completely translucent, remove the egg from the vinegar and gently push the egg into a somewhat wide neck bottle (one whose neck is still smaller the diameter of the egg, of course). 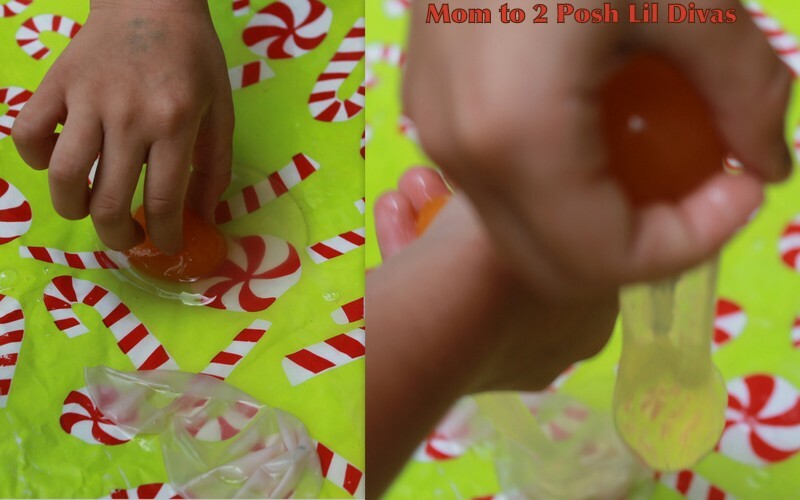 You may have to slide a small diameter straw into the bottle neck at the same time, (to allow for the air inside the bottle to escape as the egg enters it), then fill the bottle with water and the shell should reharden. Voila', you now have an egg in a bottle (like a ship in a bottle)! i love these little cute science experiments to do with the kids i baby sit! I remember doing this in school. Try coating half of the egg with toothpaste before putting it in the vinegar. If I recall correctly, the toothpaste side doesn't dissolve. Another way of getting an egg into a bottle is to peel a hard boiled egg and light a match, pop it into the bottle and quickly place the egg on top. 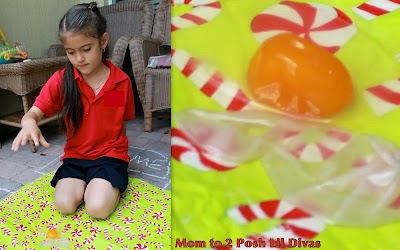 The egg will be drawn into the bottle. Well, you're missing out, my 10 year olds were amazed. We did just one egg, but I was also amazed. Never would have thought it was possible. You might tell them that carbon dioxide (CO2) is an acid and is in all sodas. The eggshell is basically calcium and is a base. When you put them together you get an acid base reaction. Since these are basically weak components the reaction isn't very strong but something like urine & bleach will create a much stronger reaction and should be avoided. Thank you for explaining. So I can give my kids the info as to why. My first thougt on reading this was to measure and add the same amount of liquid to each cup and to weigh the cups immediately and each day. 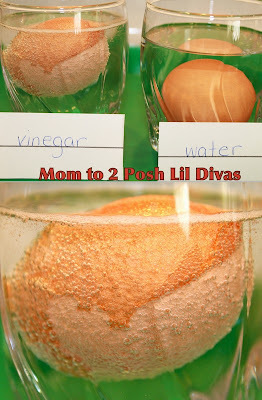 Do cups with vinegar weigh less and if so why? 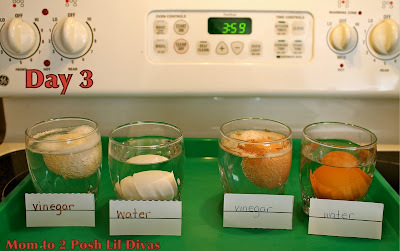 I think the cups with vinegar will weigh less because they are giving off the carbon monoxide.